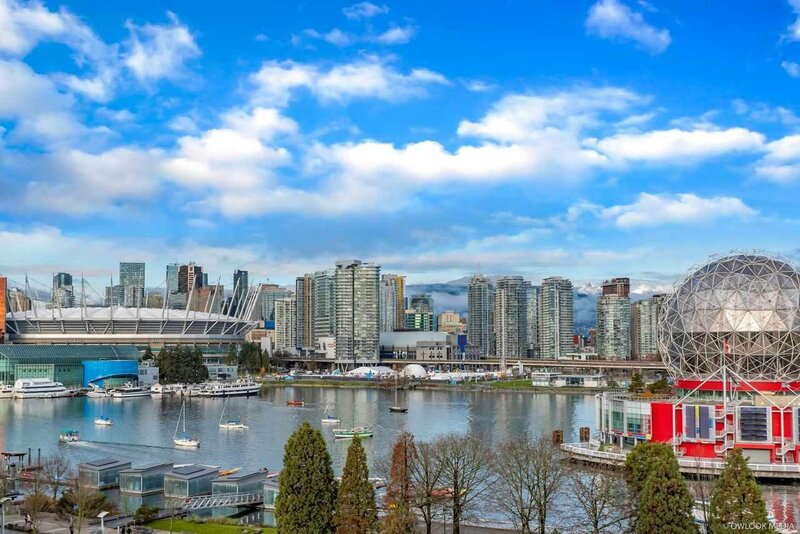 Description: VIEW! 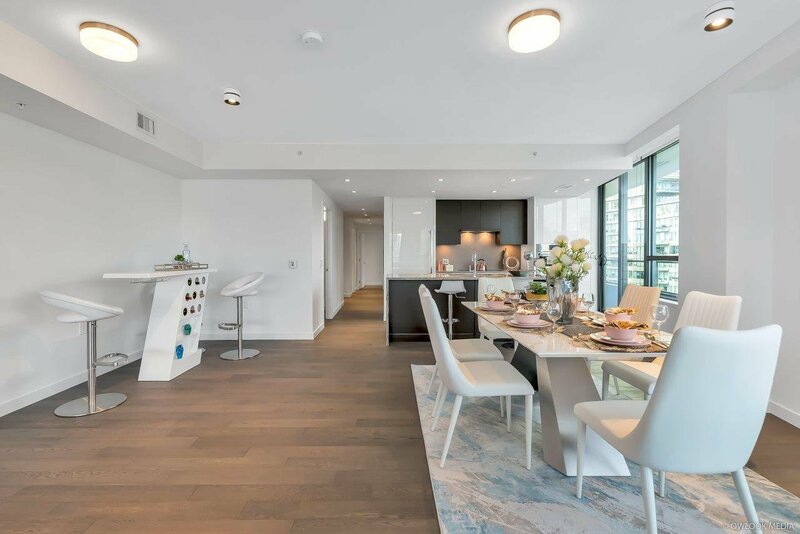 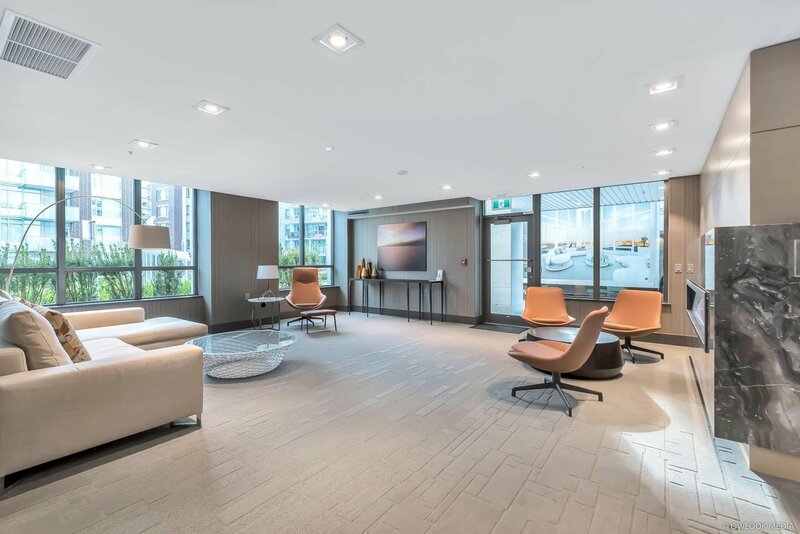 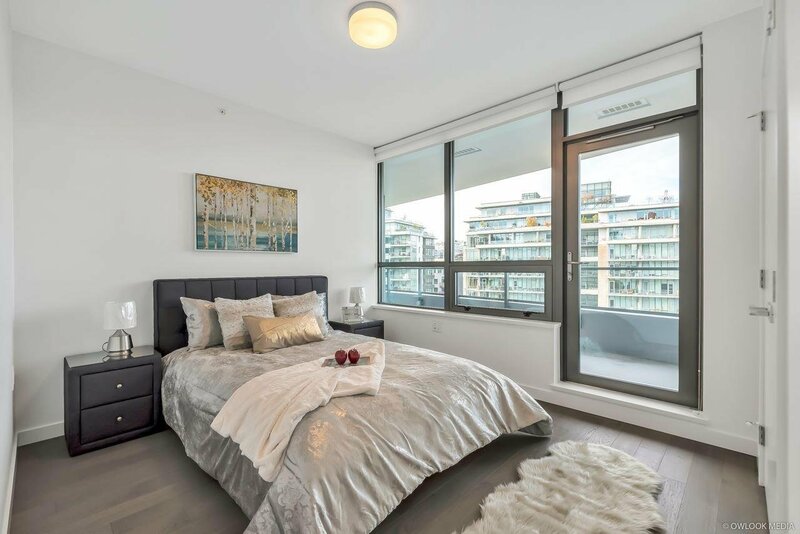 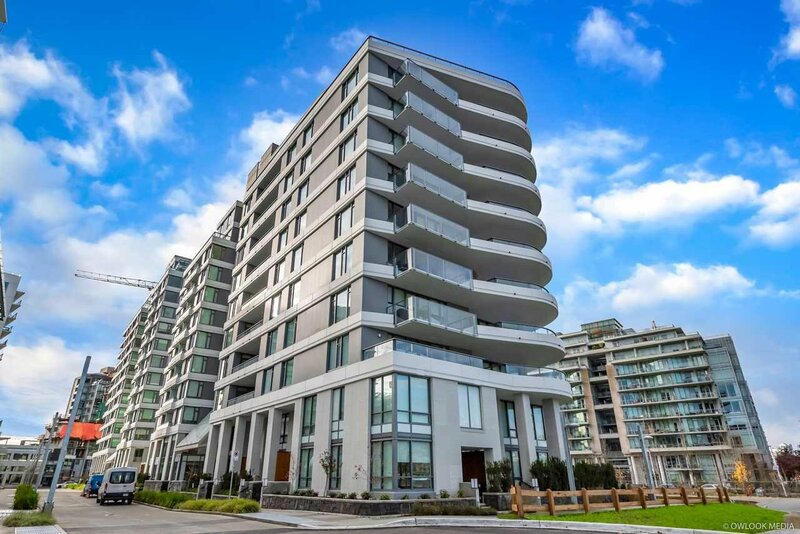 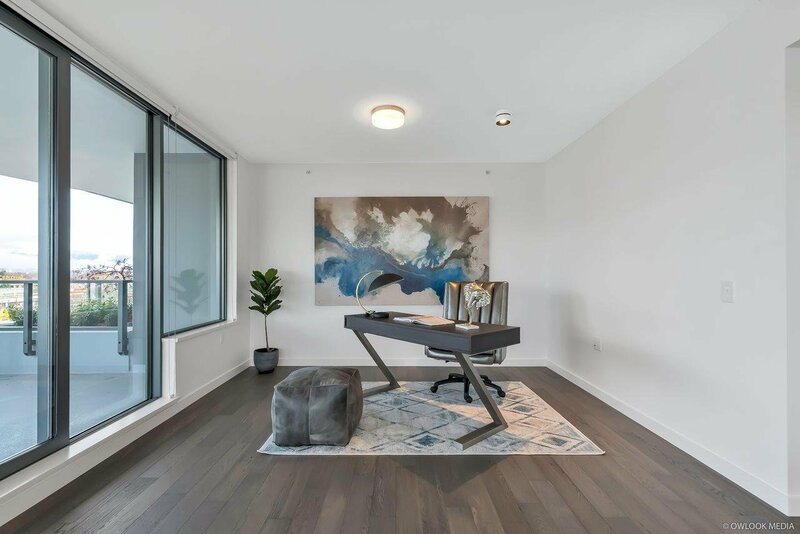 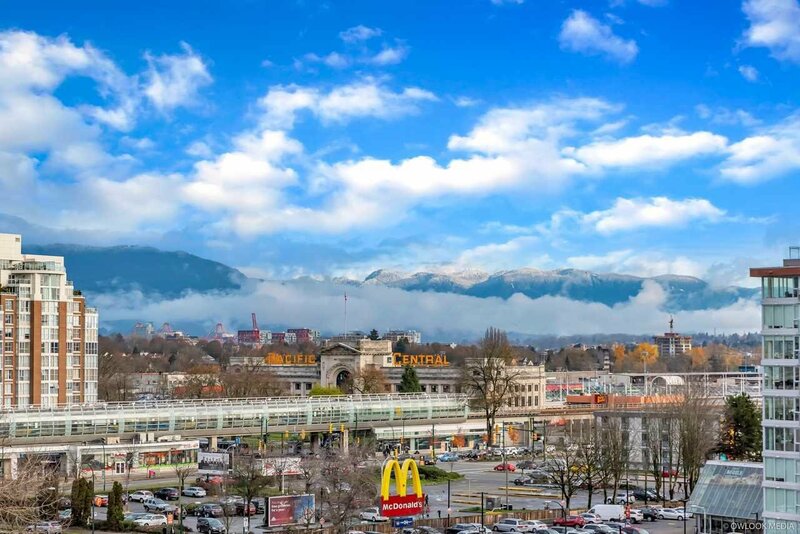 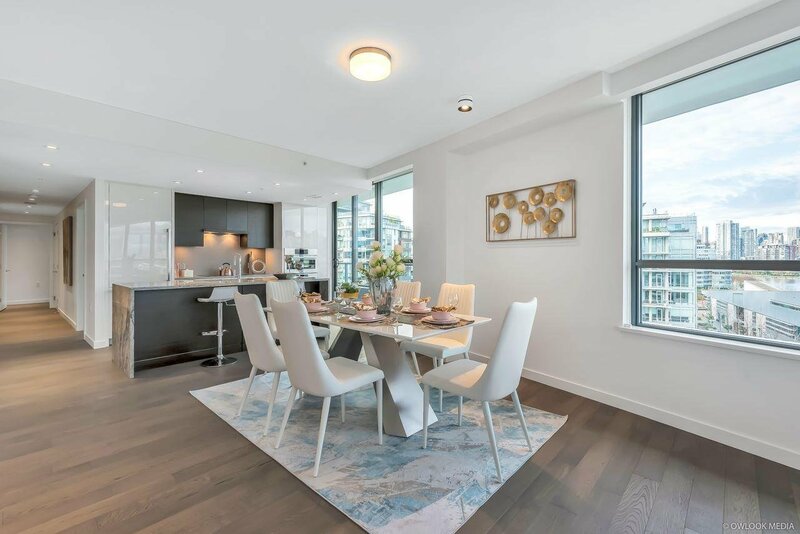 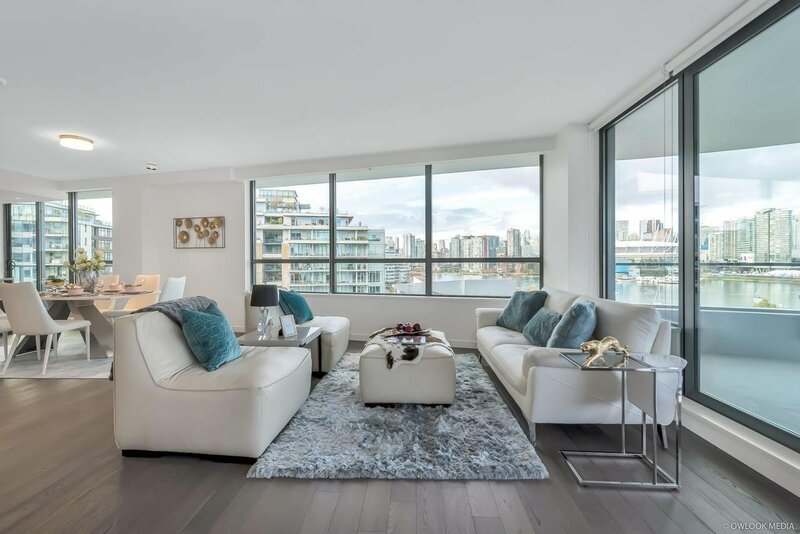 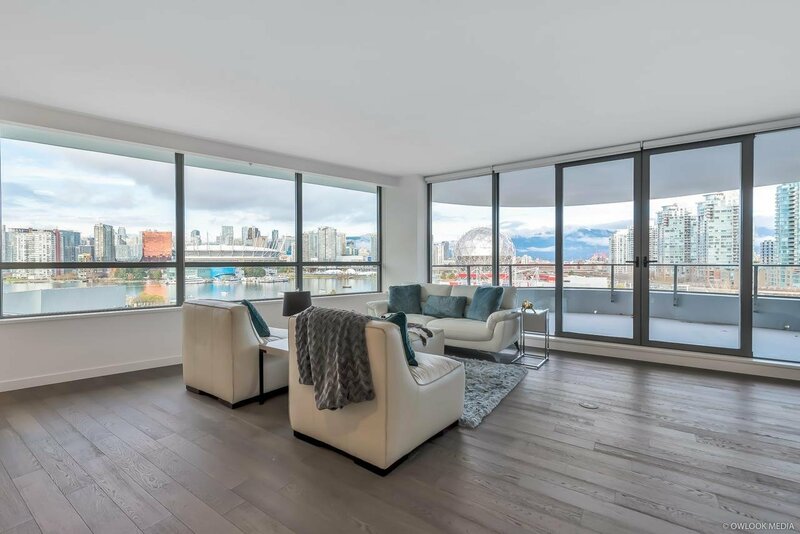 NAVIO claims an enviable location on the seawall in vibrant Southeast False Creek overlooking a 2.7 acre park. 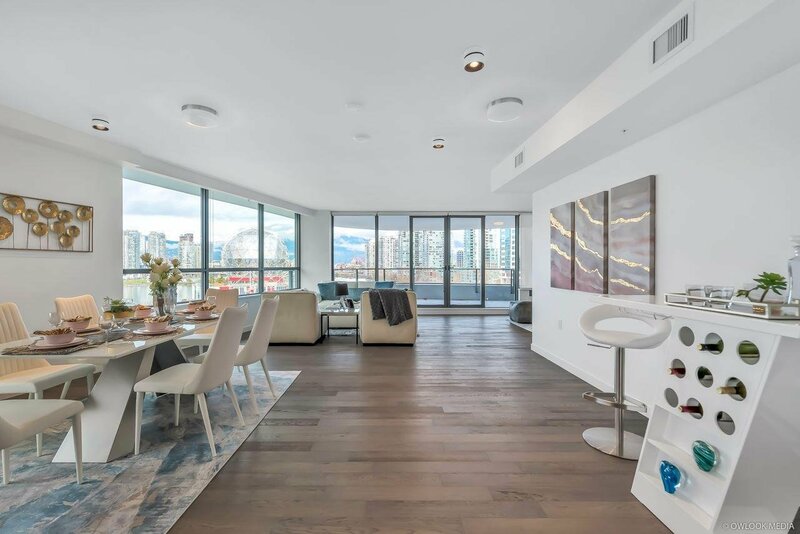 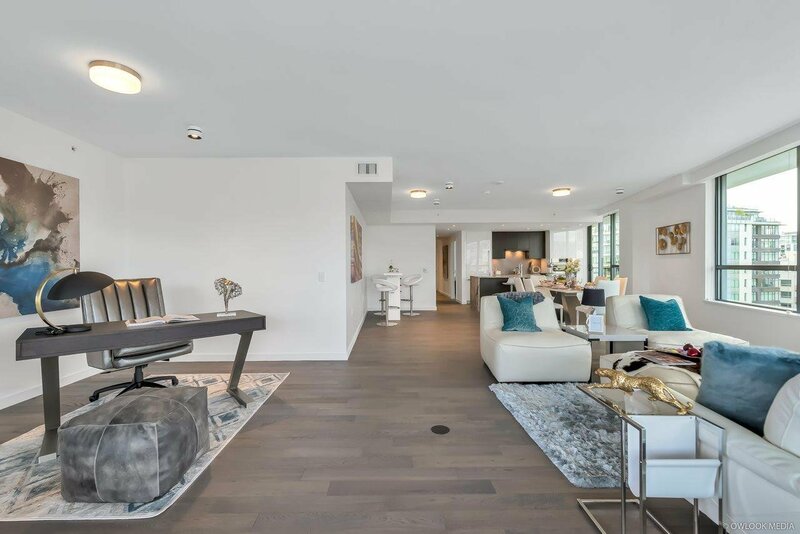 Celebrate outdoor living all year round with 149 SF balcony overlooking dramatic views of the ocean, mountains and city skyline. 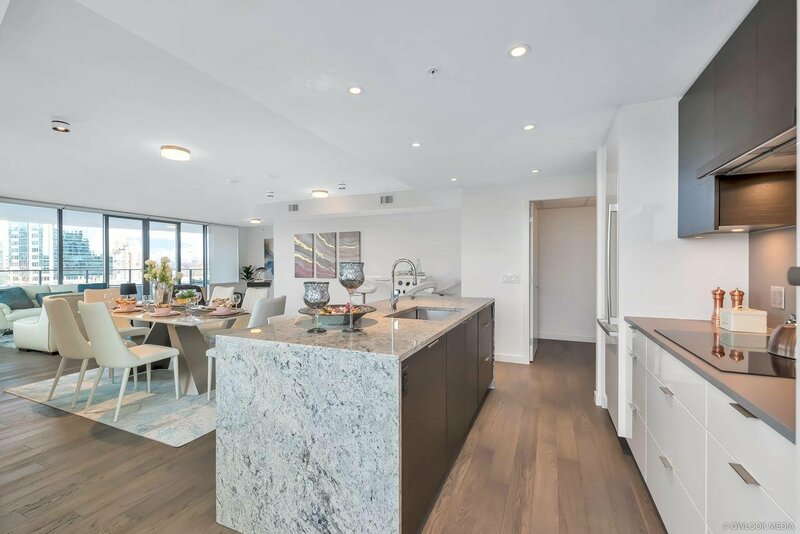 Open kitchen blends seamlessly with the living spaces and features elegant wood veneer and contemporary high-gloss cabinetry, sophisticated granite slab kitchen island with waterfall gables and full height pantry. 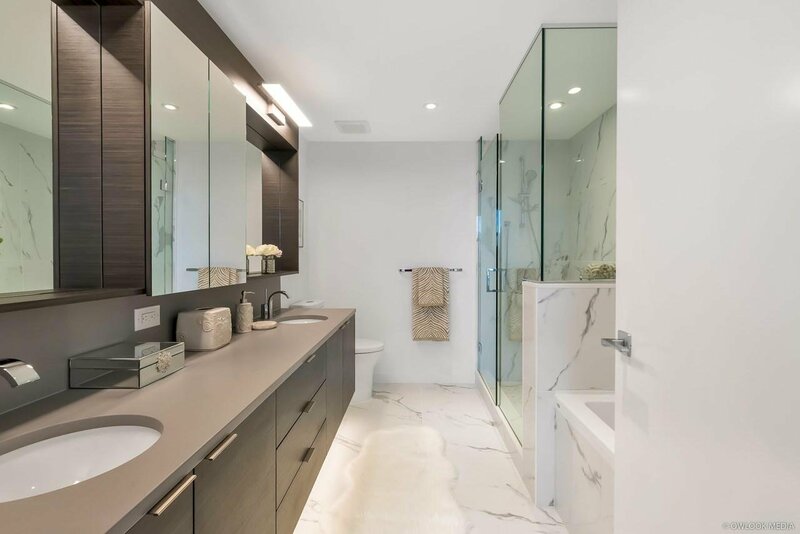 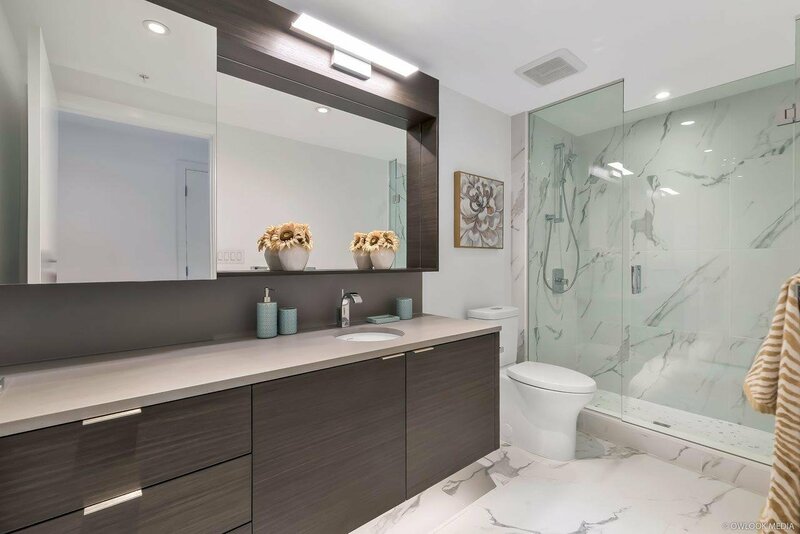 Bathrooms include large format porcelain tiles, floating wood veneer vanity, frameless glass shower door and infloor heating. 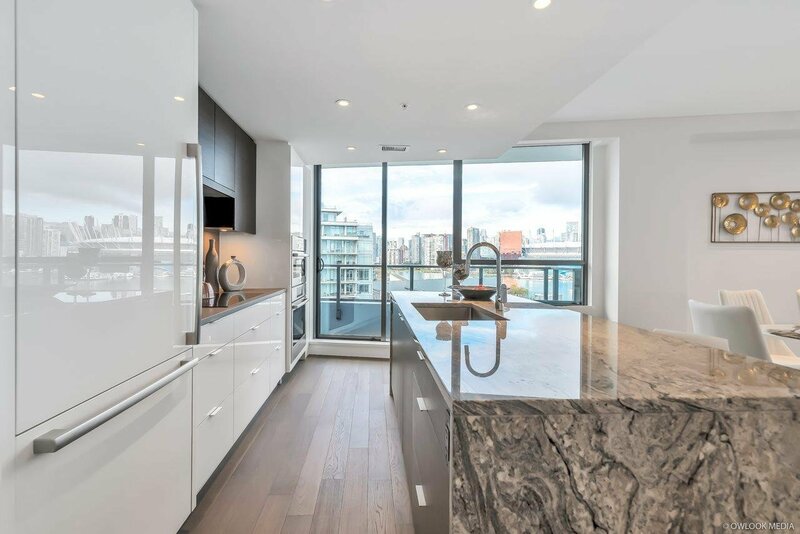 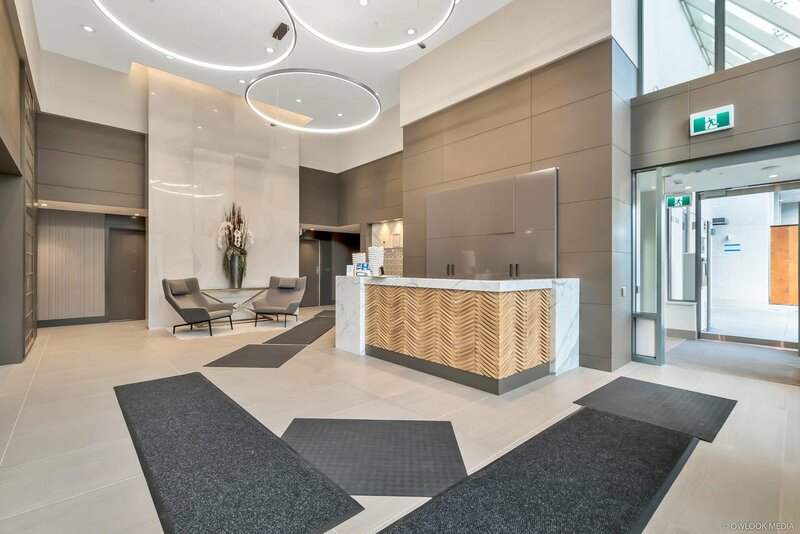 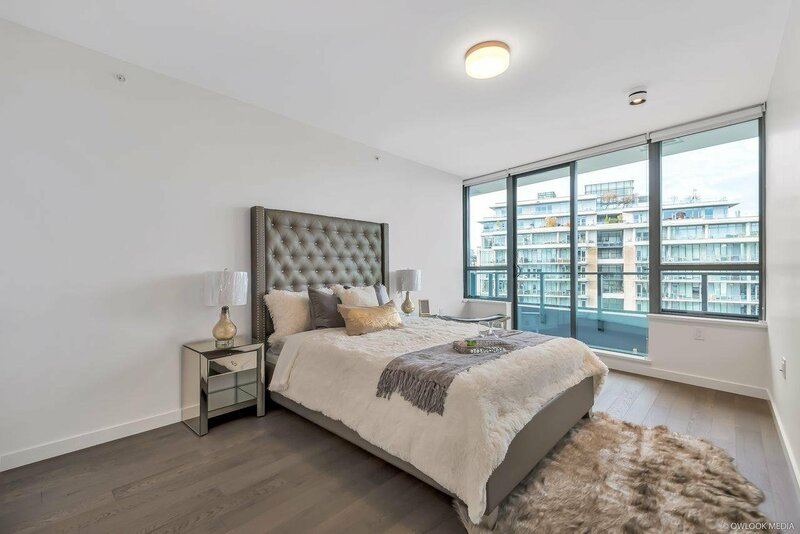 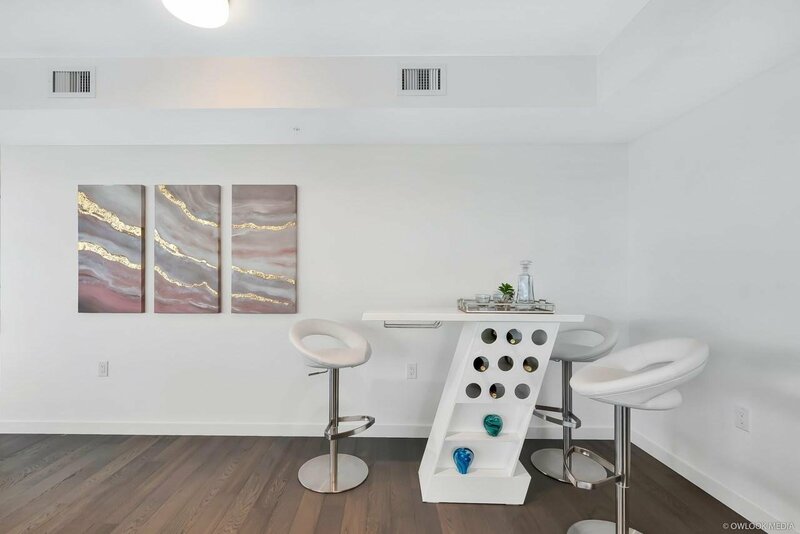 Features top of the line Bosch appliances, 8'8 ceilings, A/C, 2 parking stalls & generous insuite storage room. 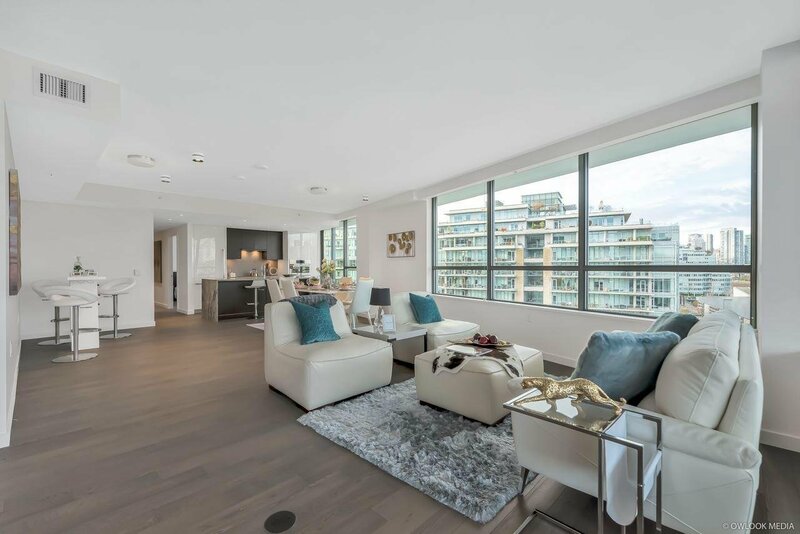 Developed by award winning Concert.GST included!